Veteran Springboks and Bulls lock Victor Matfield has been 'playing like an old man' and is at risk of 'tainting his legacy', according to former South Africa prop and cult hero Ollie le Roux. The Bulls have made a disastrous start to the Super Rugby season, dropping back-to-back games at their Pretoria home - the fortress known as Loftus Versfeld. Favoured to top the South African conference following the recruitment of Cheetahs forwards Adriaan Strauss and Lappies Labuschagne, and rise of young fly-half Handre Pollard, the three-time Super Rugby champions have looked desperately out of sorts. Their traditionally sound set-piece has become somewhat of a concern, and le Roux has pointed the finger squarely at 37-year-old Matfield who came out of retirement at the request of Springboks coach Heyneke Meyer. 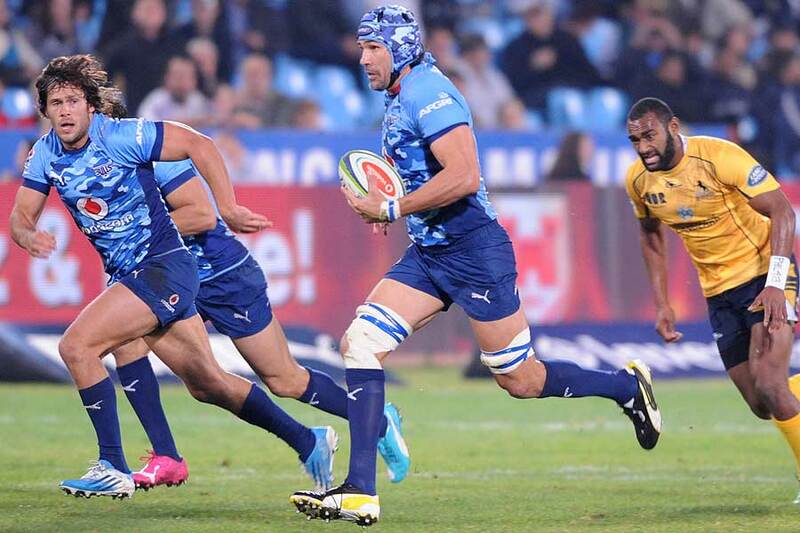 "Victor Matfield is playing like an old man at the moment," le Roux told sarugby.co.za. "He's lost the presence he once had and even his lineout work is suffering. He just doesn't have it in him to provide a physical presence around the park anymore, and the longer he goes on, the more his legacy will be tainted. "He's got a massive battle this weekend against Pieter-Steph du Toit, who is younger and hungrier. Matfield will always be able to compete at the lineouts, but matches aren't won there, they're won in open play. Will he be able to match Du Toit in the other aspects of play? I'm not so sure." Matfield and the Bulls welcome the Sharks to Pretoria in round three; the Durban-based side fresh off an impressive 29-12 win over the Lions.